I used a pressure cooker to “poach” my chicken but you could simmer it on the stove or bake it as well but poaching it gives me such a rich broth. I’ve also talked about using a pressure cooker before to make broth (http://wp.me/pN3hE-HN). I have a gallon and a half of cilantro and lime infused broth to make chicken tortilla soup with =). 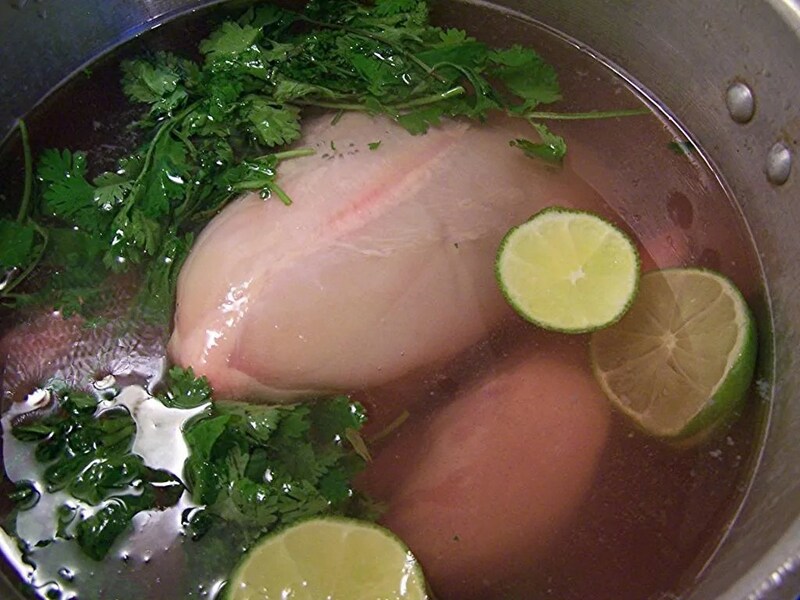 I place a whole skinned chicken in my pressure cooker with enough water to cover or reach the fill line (whichever is first), a good bunch of washed cilantro and a whole washed lime sliced thinly. A small handful of sea salt and cook for 45 minutes once it comes up to pressure or simmer for at least a few hours. Fry a tortilla in a little oil (I like sunflower oil) until lightly crisp (or oven bake brushed with a little oil bake at 375 for approx. 12 minutes). 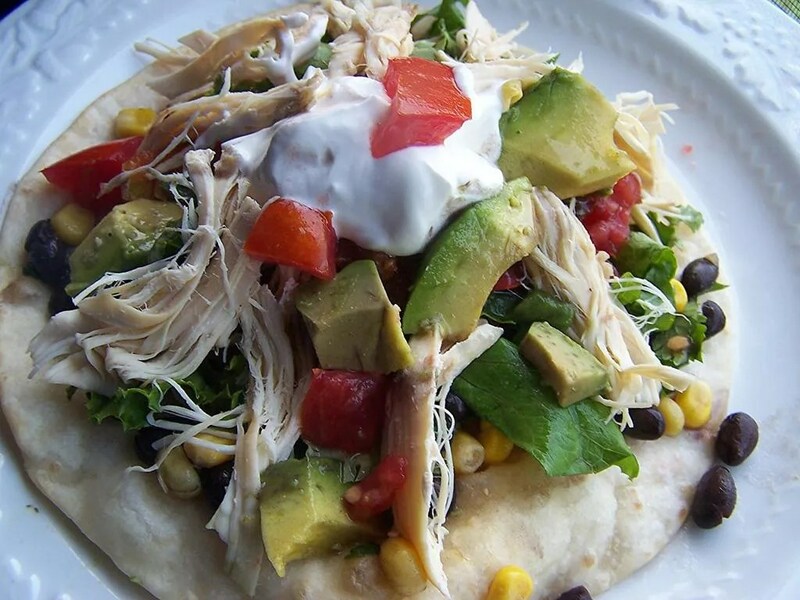 Shred cooled chicken and assemble on top of the tortilla. Additions: black olives, cheese (jack, cheddar, pepper jack, queso blanco, etc. ), sour cream or Greek yogurt, lettuce, green onions, red onions, tomatoes, salsa, refried beans, bean and corn salsa (black beans, red onions and corn marinated in a little cilantro and lime), avocado, green salsa or even a nice cheesy vinaigrette if you need it. A healthy & light, yet filling, summer meal!